Scenes from David Bracha's newest restaurant, Oak Tavern in the Design District. It's the South Beach Wine and Food Festival this weekend, an annual beachfront extravaganza that brings the best chefs in the country and the eaters who want to hang out with them together for a raucous weekend. We can't think of a better excuse to check in with noteworthy local chefs to learn about their Miami. 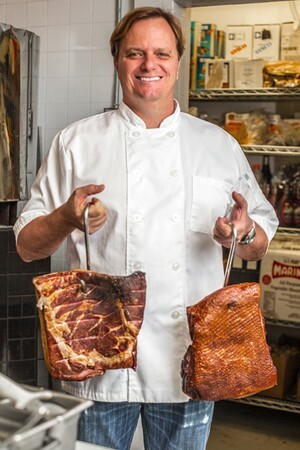 David Bracha has been cooking in the area since the late 1980s, and now owns two favorites, The River Seafood & Oyster Bar in Downtown Miami favorite for close to ten years, and the recently opened Oak Tavern in the emerging Design District. Favorite local coffee shop/breakfast spot: Itzik Deli in North Miami. Itzik serves a great Middle Easter breakfast: humus with fava beans, Israeli salad, and the best lemonade with mint. Best spot for people-watching: I'd have to go with Lincoln Road. Your office is located: in Downtown Miami. Brickell. You wish your office was located: Stiltsville, several stilt homes in the middle of Biscayne Bay, very unique. Your preferred mode of travel around the city: The best way to get around is on a Vespa, although it's too dangerous. I truly believe Miami has the worst drivers in the country, hands down! Where do you go when you want to be in the middle of it all? Any sporting event, if the local team is doing well. Miami has fair-weather fans! Right now, nothing beats the energy and the momentum of the Miami Heat. Where do you go when you need an escape? I love to disappear to Biscayne National Park to do some stone crabbing. 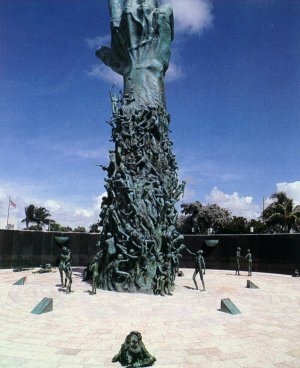 Favorite local monument: The Holocaust Memorial on Miami Beach is very powerful. Best place for an afternoon coffee: Acme Bakery, a new bakery in Midtown not far from Oak Tavern. They serve Panther Coffee, which is wonderful. Favorite local shops: Epicure on Miami Beach is a wonderful Old Miami gourmet shop. You dream about your meal at: The pastrami sandwich at the Rascal House, an old-time Jewish deli that used to be located in Sunny Isles. Rascal House is no longer open. It was victim of Miami's "progress." Most underrated thing in your city: Every third Friday, The Rhythm Foundation, a wonderful nonprofit organization devoted to bringing world music to Miami, puts on an evening called "Big Night in Little Haiti." There's always really good Haitian music and local art. It's a great local vibe. Most overrated thing in your city: I don't want to sound like a downer, since it's so iconic, but Ocean Drive is good for a quick drive by to check out the architecture, but I wouldn't spend any time there. 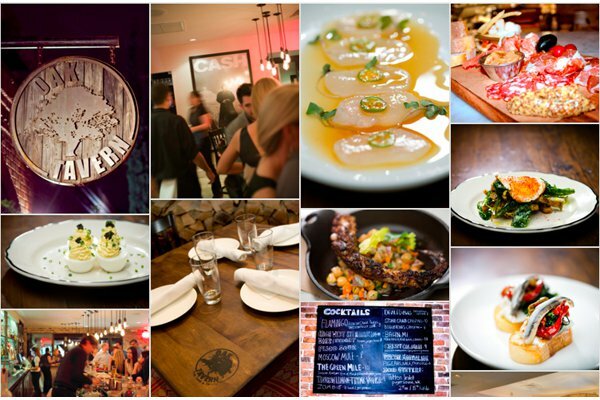 The best thing about your neighborhood: I live in Buena Vista, walking distance to my restaurant Oak Tavern. The architecture is incredible, with great, historical homes from the 1920s. Current local buzz word: All I keep hearing about is the Harlem Shake, but guess that's everywhere! Best movie based in your fair city: Scarface. Where you go when you need inspiration: Books & Books, the wonderful independent booksellers on Lincoln Road on Miami Beach. The route for your favorite city joy ride: Old Country Road, a beautiful tree-lined street in South Miami. Best way to pass an evening: A great Miami evening would start with dinner at Versailles, an institution for Cuban food on Calle Ocho, or Eighth Street, in little Havana, followed by a trip to Hoy Como Ayer — also on Calle Ocho — for great local music. 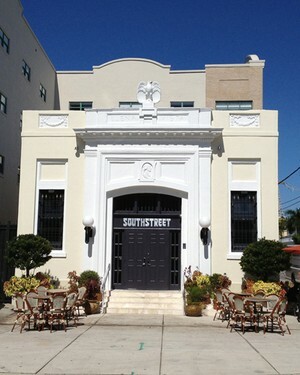 After that, head to Purdy Lounge on the northwest end of South Beach to keep the party going. No trip to Miami is complete without: colada — Cuban coffee. Photos, from top: David Bracha photo by Bill Wisser; courtesy of The Holocaust Memorial; Old Buena Vista Post Office photo by Phillip Pessar / Flickr; courtesy of Hoy Como Ayer. David is the chef/restauranteur in Miami. He owns The River Seafood & Oyster Bar, a Downtown Miami favorite for close to ten years, and the recently opened Oak Tavern Fine Food & Spirits in the Design District. 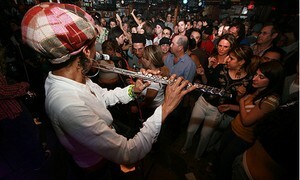 You can follow him online at @oaktavernmiami on facebook.com/oaktavernmiami. He travels for bahn mi at Pho 78, a Vietnamese restaurant in Pembroke Pines in suburban Broward County.